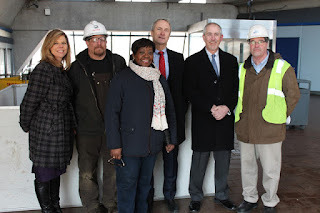 On April 2, New York State Assembly members Crystal Peoples-Stokes, Sean Ryan and Monica Wallace, along with members of NFTA's leadership team, came together at the Delevan-Canisius Metro Rail Station in downtown Buffalo. The delegation members were on site to announce a $9 Million capital grant to Metro Rail, through the New York State Department of Transportation. The funding ensures the continued vitality of the Metro Rail system. Now approaching 35 years of service, the system requires capital maintenance and improvement. The Rail accounts for 90 percent of the NFTA's capital needs, but there is no dedicated state funding line for the light rail system. 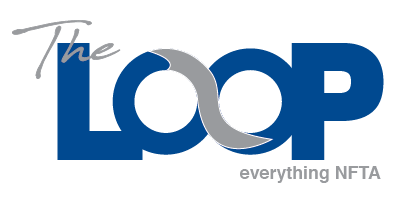 Current state operating assistance and capital funding only account for bus service provided by upstate transit authorities. Tom George, the NFTA's Public Transit Director, said, "We are extremely grateful to Governor Cuomo, the entire Western New York delegation and the New York State Department of Transportation for these funds. The Metro Rail system is a tremendous asset in our community, and we need to continue to invest in it to make sure that we maintain a sustainable public transportation network. This funding will allow us to move onto making improvements at LaSalle Station, to rebuilding rail cars, and taking care of our track and catenary. Although riders may not physically see these components, they are critical to the system's operation and to providing our riders with safe and consistent rail service." Last year Metro rail served an estimated five million riders, and these funds will help to continue to serve its customers in the best way possible and further support the resurgence of the Buffalo Niagara region.